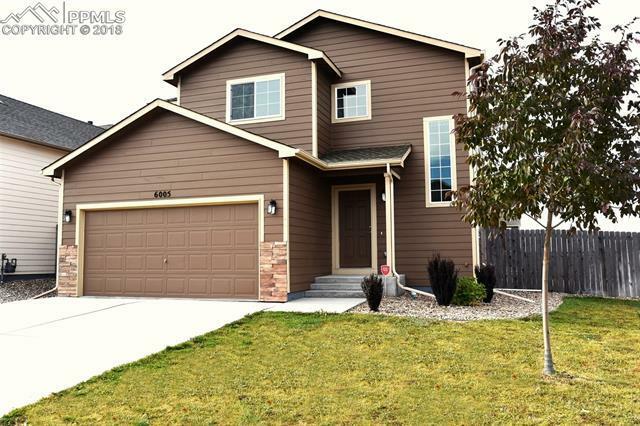 This terrific 3 bedroom home boasts brand-new flooring & freshly painted interiors throughout, plus truly amazing mountain views from nearly every window! A spacious family room features an entertainment alcove, plus a large picture window. The kitchen includes all appliances, a large pantry, plus dining space with walk-out to a large, fully fenced back yard. Upstairs a large master bedroom offers inspiring mountain views, a huge walk-in closet & bathroom. Minutes from Ft Carson, Peterson AFB & more. This is one to see!